Julian Lucek is a Distinguished Systems Engineer at Juniper Networks, where he has been working with many operators on the design and evolution of their networks. Before joining Juniper Networks in 1999, he worked at BT for several years, at first in the Photonics Research Department and later in the data transport and routing area. During this time he gained a PhD in ultrahigh-speed optical transmission and processing from Cambridge University. He is the holder of several patents in the area of communications technology, has a Master's degree in Physics from Cambridge University and holds Juniper Networks Certified Internet Expert (JNCIE) certification number 21. 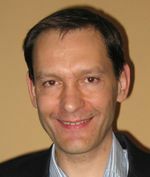 He is co-author of the book "MPLS-Enabled Applications: Emerging Developments and New Technologies", by Ina Minei and Julian Lucek. The book is now in its third edition.